Mitsubishi Motors Philippines Corp. is offering three payment schemes for motorists who want to own a brand-new Lancer EX GT-A. 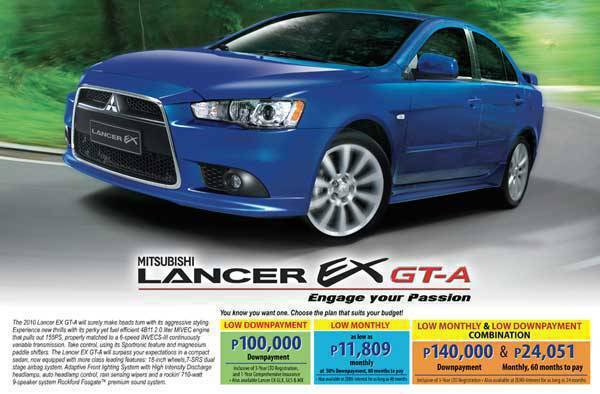 One can bring home a new Mitsubishi Lancer EX GT-A for either a downpayment of P100,000 or a low-monthly payment plan of P11,809 payable in 60 months after a 50 percent downpayment. The low downpayment option comes with a three-year Land Transportation Office (LTO) registration and a one-year comprehensive insurance. It is also available for the Lancer EX GLX, GLS and MX. 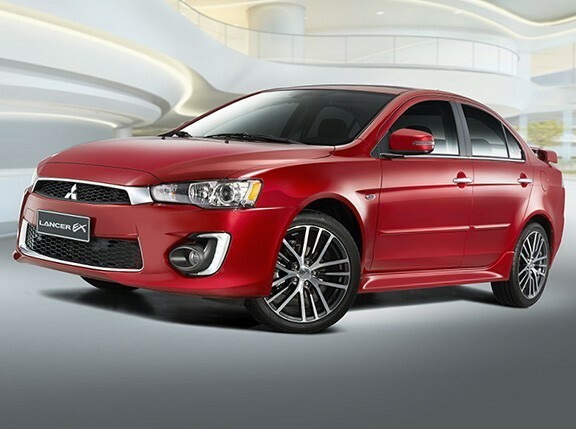 Mitsubishi also offers a low-monthly and low-downpayment combination. The plan requires cash-out of P140,000 and the balance is payable at P24,051 for 60 months. The plan includes a three-year LTO registration. The Fuzion multipurpose vehicle, meanwhile, is also available for a low downpayment of P88,000 for the GLX variant and P118,000 for the GLS Sport. Amortization for both variants are payable for 60 months at P19,075 and P23,091, respectively. Purchase includes get a three-year LTO registration.